i'm so excited to have another book to share with you all today! 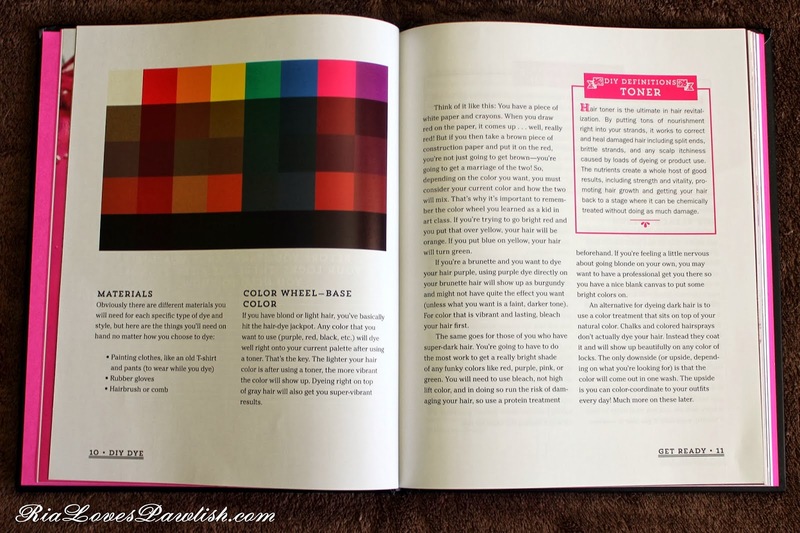 i'm so happy to have received a review copy (press sample) of DIY DYE by Loren Lankford (photography by Jason Hofman). 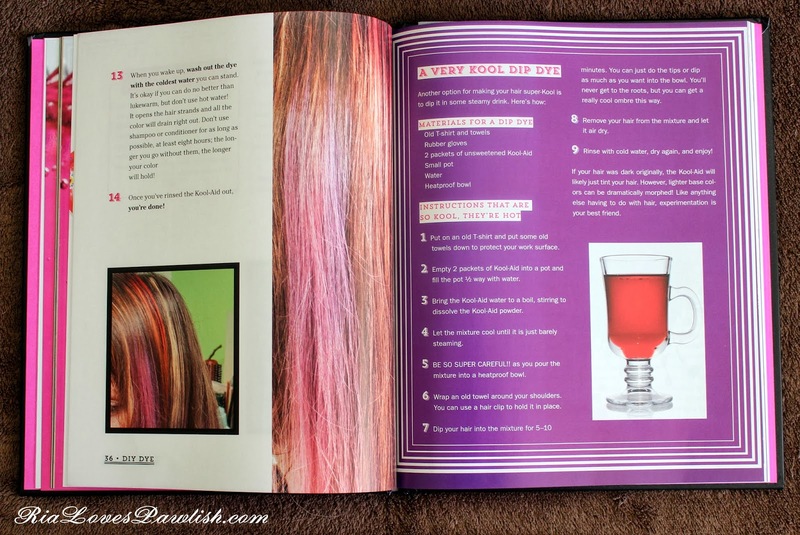 this book details all sorts of temporary hair dyes... from store bought to how to make your own! all the photos showcase the book, all images are shown courtesy of Ulysses Press! here's a look at the cover... i love how it really grabs your interest and is so colorful. 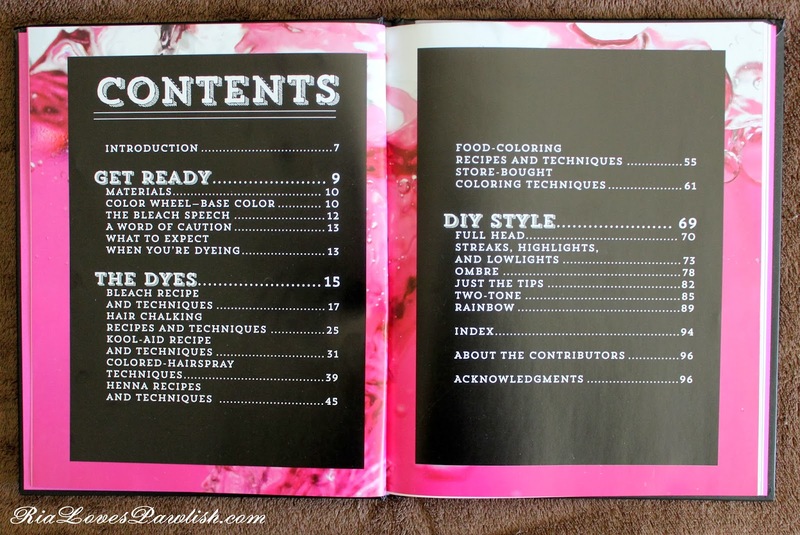 the table of contents gives a great idea of what's in the book... all the steps you'll need to take to bring dramatic new hues to your hair! i love how the author even goes into what your base color will mean to the outcome of your color! the coloring section starts out with ideas of things you can use that you probably already have in your home! i love how easy to understand the directions are, the author takes you step-by-step through the process of getting your new hair color. 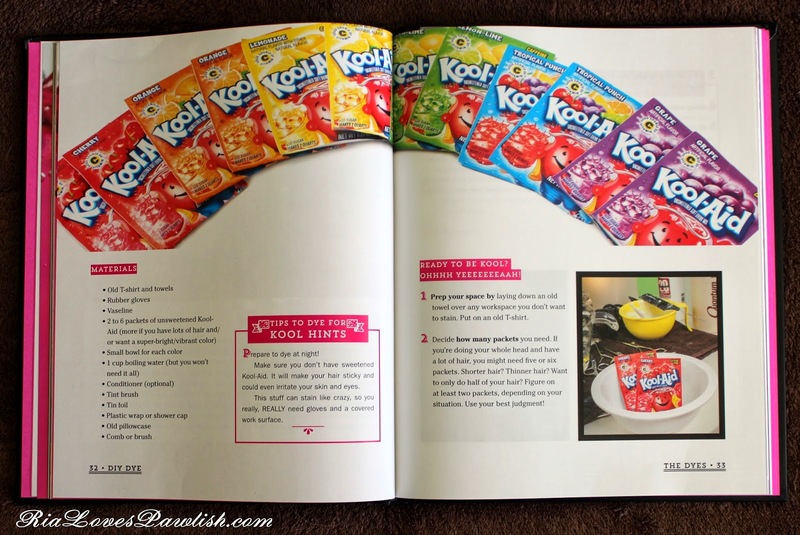 the end of each section shows how it will look when it's done... and the end of the Kool-Aid section even has an alternative way to use it! 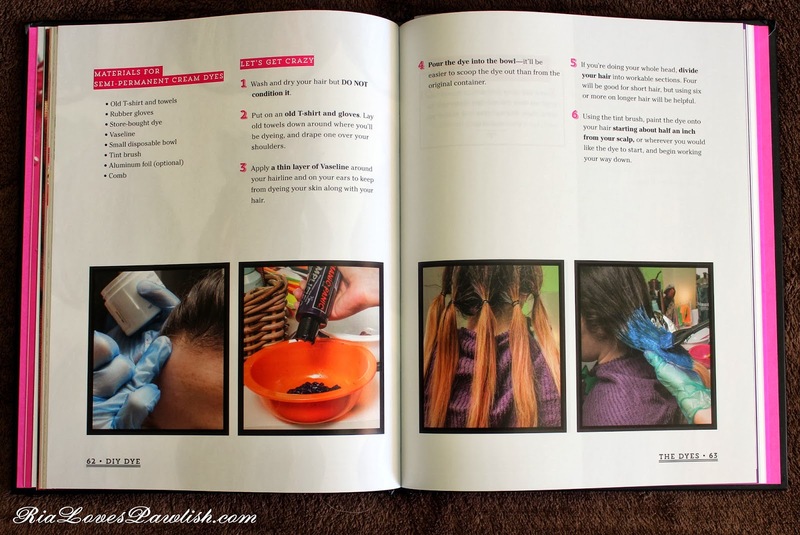 the book also details how to use permanent dye, even showing ways to section your hair and apply in photos... photos just make everything so much easier to understand! 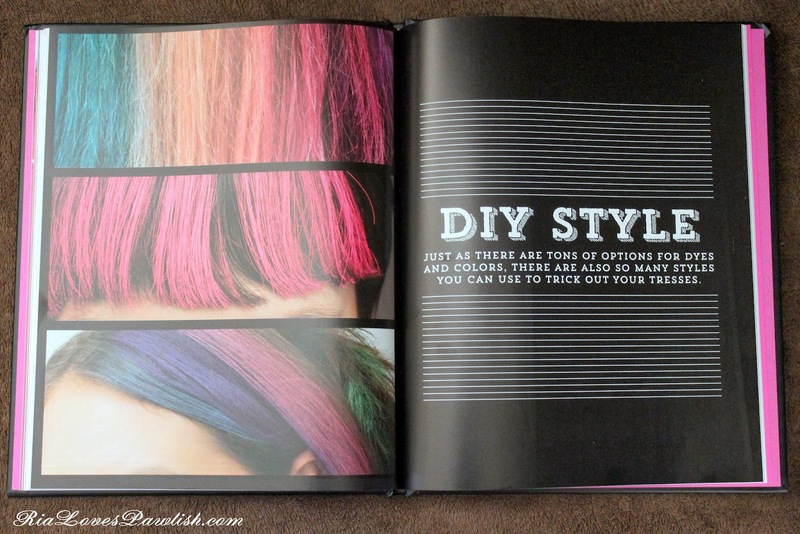 the end of the book shares different styles for coloring your hair... it really gives a lot of options you might not have considered! one of the dye styles shared is the ever popular ombre! 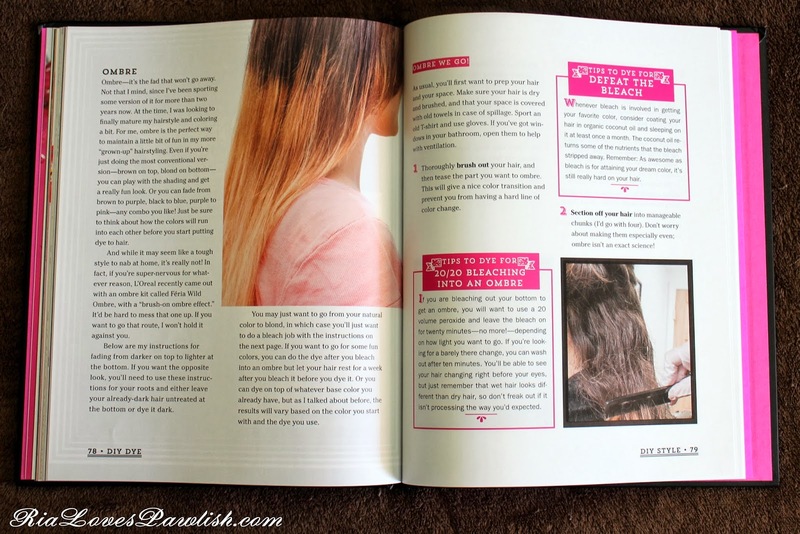 it's nice because in addition to the step-by-step directions there are tips to help everything go more smoothly. 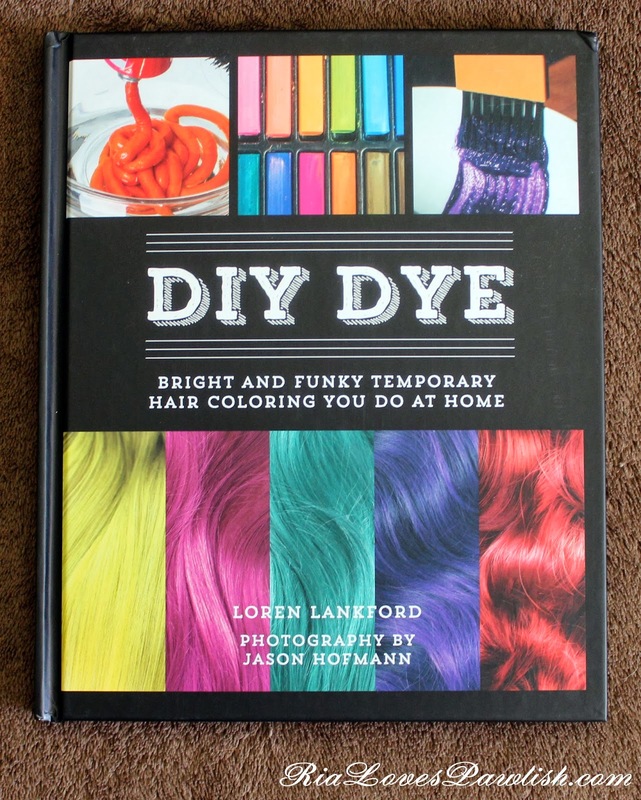 DIY DYE by Loren Lankford (photography by Jason Hofmann) retails for $16.95 US! you find it on Amazon right here in hardcover for only $12.34 (current as of March 5, 2014). if you prefer reading digitally, the Kindle version is only $9.99! i hope you enjoyed this look into DIY DYE, i loved reading (and getting ideas from!) it. let me know if you pick it up and what you think!